Moving is always a chore for the entire family. In most cases, not only do you have to take care of the packing and the moving, you also have to make sure that you keep the house clean, shuffle the kids everywhere, and still hold down a full time job. Many people feel that it is a waste of time and money to hire professional movers and packers. Below you will find four reasons to hire professional movers and packers to take care of all of your moving needs. 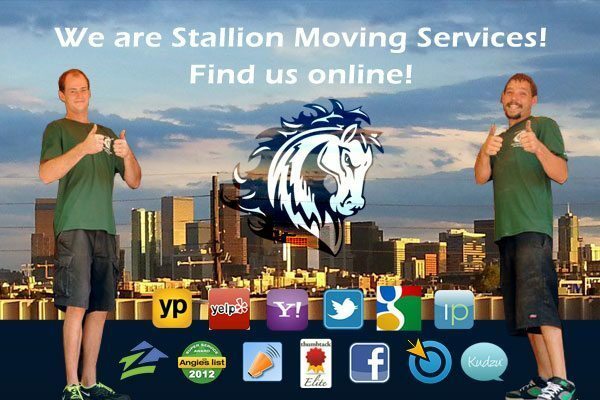 Stallion Moving is a licensed and insured moving and packing company. Our movers and packers work hard to properly assess, protect and relocate your items. Packing your entire house up to move and still trying to live a normal life can end up taking you and your family many weeks. If you hire a professional moving company to take care of the job for you, you can be moved in a very short amount of time. Movers and packers for the Denver Colorado metro area. The worst part of trying to pack up your home yourself is being surrounded by boxes, packing tape, and total disorder for weeks at a time. The professionals can have the job done in three to five days tops most of the time and you can go about your normal routine. Most people when they first start packing their belongings do so carefully and slowly. As moving day approaches however, they tend to get frantic and just throw things in boxes any which way, which often ends in broken possessions. If you hire professional packers to do the job for you, you know that it will be done right and your possessions protected. You need to realize that over packed boxes can slow down loading and unloading, resulting in broken boxes that can end in severe injury if you are not careful. Hiring a company that knows how to pack everything and move it the right way is a great way to save your possessions and your time. Moving and packing is easy with the movers and packers from Stallion Moving. If you have ever moved, then you know how stressful it can get, especially as moving day closes in. You are stressed because nothing is being done and your home is in total disorganization. Hiring professionals to pack and move your stuff for you will lower your stress level quite a bit and make you a happier person to be around. Often when moving, people do not label their boxes or pack similar things in the same boxes. This results in a mess when you are unpacking your new home. You end up going from room to room putting things away and wasting a ton of valuable time. Professionals know to take their time and pack things in similar boxes, which helps you when you go to organize your new surroundings. These are just four reasons that you should hire professionals to do your packing and moving the next time you have to move. From saving you time to lowering your stress level, hiring the professionals only makes good financial as well as good common sense. Stallion Moving is the relocation solution for your moving and packing service needs. call today for a free quote. Movers won't decide for you. So you need to be smart when making decisions. If you need to go through a large inventory, better spend several days to finish packing. Never underestimate the time you need to pack your entire home.